It was another cold and wet May day. We were driving along US State Rt 104B, which follows Lake Ontario, when an outdoor fire burning caught our eye. Quickly we turned around to check it out. Dan’s Chicken Shack parking lot was full of pick-up trucks and cars — always a good sign, we pulled in. Walking in –“The chicken will be ready in about ten minutes, you can head over to the bar for a beer and wine while you wait.” — our kind of place. We sat around the shack, literally a little plywood building, with the locals and Dan’s family. Our chicken dinner was served with salt potatoes and baked beans. It was the best chicken we’ve ever had. 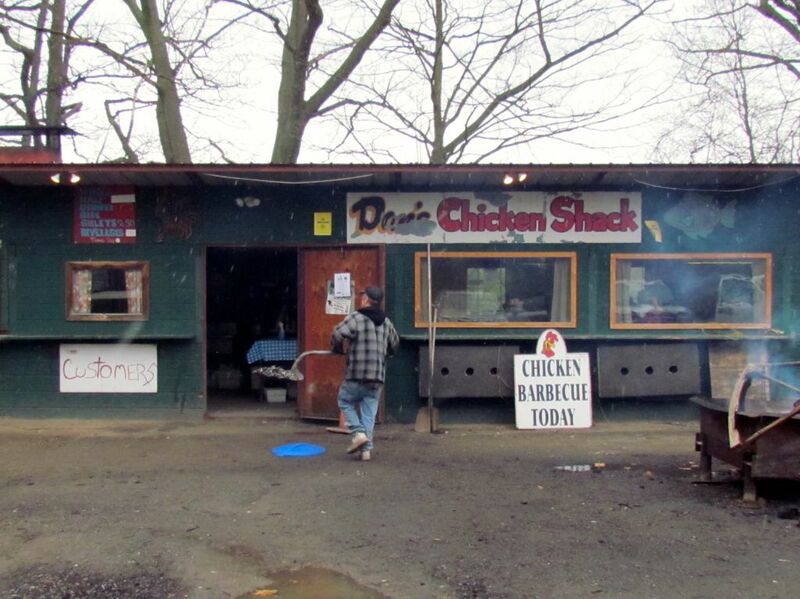 Inside the shack, dozens of whole chickens are cooked on spits over the coals of a fire. 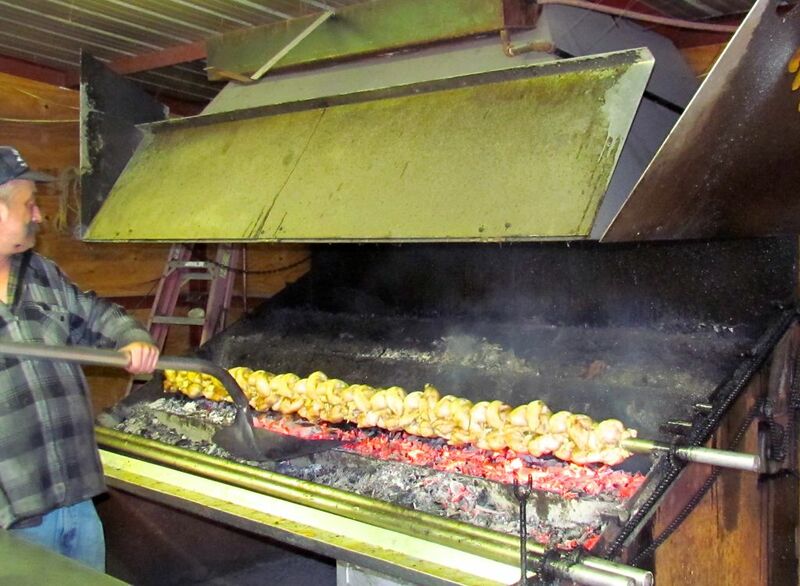 Outside the shack, hardwood is burned in a large steel box and the coals are used to cook the chicken to perfection. 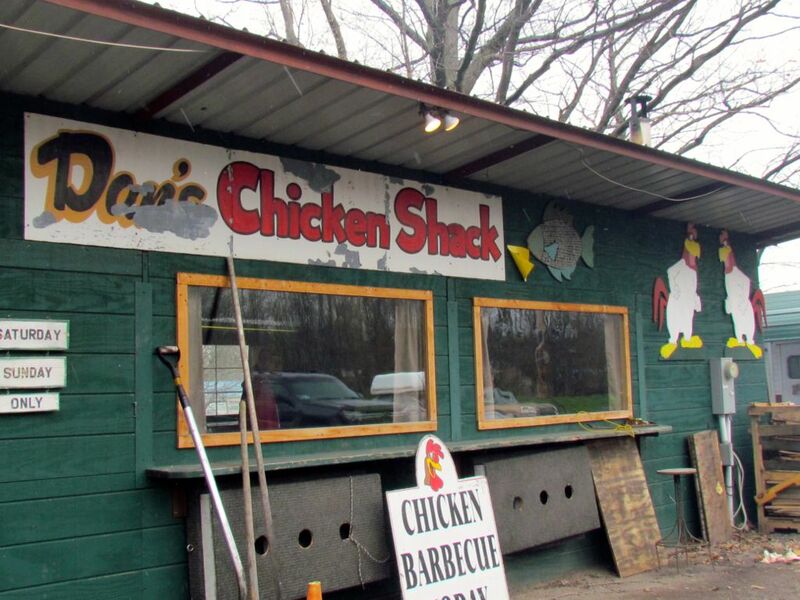 Rain or shine, the best rôtisserie chicken to be had is at Dan’s Chicken Shack in Texas, NY.